Prominent businessman and race car driver Paul Kelly thought he was entertaining guests with a burn-out in a classic car outside a Christmas party. But as the smoke cleared, police pulled up. Kelly, 47, had been drinking “for the day” and knew he was over the limit. He blew 853 micrograms of alcohol per litre of breath. The legal limit is 250mcg. Kelly was last week disqualified from driving for six months and fined $600 for what he called a “huge error of judgment”. “If anybody should know better when it comes to things with motor cars it’s myself. I’m deeply sorry. It’s had a huge impact on me and I’m hugely embarrassed,” he said this week. 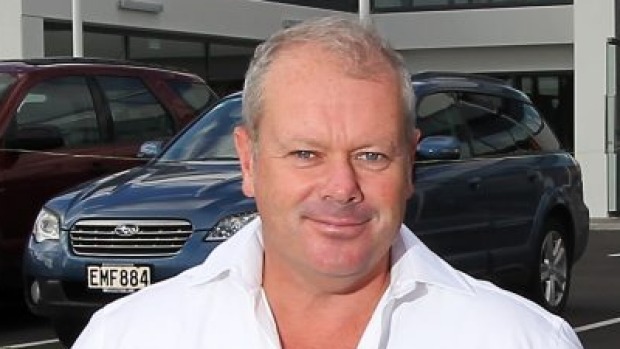 Kelly owns Paul Kelly Motor Company, one of Christchurch’s biggest car dealerships, and has raced on the Porsche GT3 circuit. He had naming rights for one of the stands at the soon to be demolished Lancaster Park. The incident last year was not Kelly’s first brush with the law. He was disqualified from driving in 2001 after he was caught drink-driving. A year later, his business offered free advanced driving courses to young customers. In 2004, he was fined $300 for speeding after he was clocked at 135kmh in a Porsche on the West Coast. Kelly said this week he did not condone drink-driving. “Don’t do it,” was his message to others. The most recent incident unfolded about 9.10pm on December 16 outside the Paul Kelly Motor Company Service Centre on Stevens St, where a Christmas party was being held. “I simply took a car [a Ford Thunderbird] outside the workshop doors, rotated the tyres on the street, and put it straight back in the workshop,” Kelly said. According to the police summary of facts, police officers in a patrol car saw a “classic-type vehicle spinning its wheels causing a large plume of smoke” and a group of people watching it. They went to the business to investigate. “I met them . . . and told them that I was the person driving the car and I’d been drinking for the day and I would be over the limit,” Kelly said. Kelly initially pleaded not guilty to charges of drink-driving and operating a vehicle causing sustained loss of traction. He later changed his plea and was sentenced at the Christchurch District Court on April 26. Previous Post:Boxing’s ring girls: harmless entertainment or Dark Ages sexism?